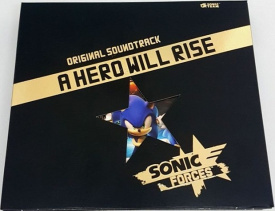 Sonic Forces Original Soundtrack - A Hero Will Rise is a triple album containing the music to Sonic Forces. The album released on 13 December 2017 in physical format in Japan and in digital format worldwide on iTunes and Google Play. This page was last edited on 29 January 2019, at 21:37.